The bleak, haunting eyes of the children express it all. Hunger is rampant throughout the world. Seventy percent of the 153,000,000 orphans claim hunger as the number one problem they face. 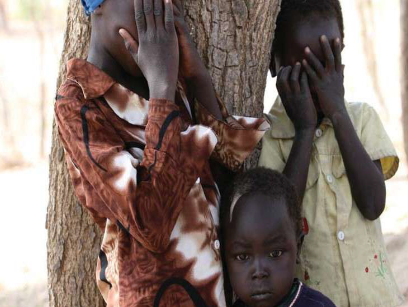 The African continent is plagued by AIDS, War and famine, leaving millions homeless and starving. If you are reading this, you have the power to make a difference. The Stars Foundation™ has joined the UN 2030 Agenda for Sustainable Development and is focusing on Sustainable Development Goal #2: This goal is targeted: By 2030 to end hunger, achieve food security, improve nutrition and promote sustainable agriculture. The Stars Foundation™ and our strategic partners are planning to build a project called The Victory Mountain Project™, in Arizona and other satellite locations which will be a flagship Educational and Training Center for leadership and students from around the world. The partners of the United Nations Sustainable Goals Initiative have promised to achieve ending hunger by 2030. As a committed partner in support of the UN Sustainable Development Initiative, we need your help!! "By the end of the decade, it would take 80,000 orphanages that hold 500 children each just to house the children orphaned by AIDS in sub Saharan Africa alone." 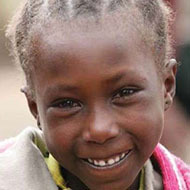 2,102,400 more children become orphans every year in Africa alone. Every 2 SECONDS a child becomes an orphan. 99% of orphans will never become adopted. There are estimated over 1.2 million trafficked children each year globally. 20 million children are orphaned in India. The pandemic of homeless and orphaned children is exponentially growing, leaving 140 million children orphaned or displaced globally. 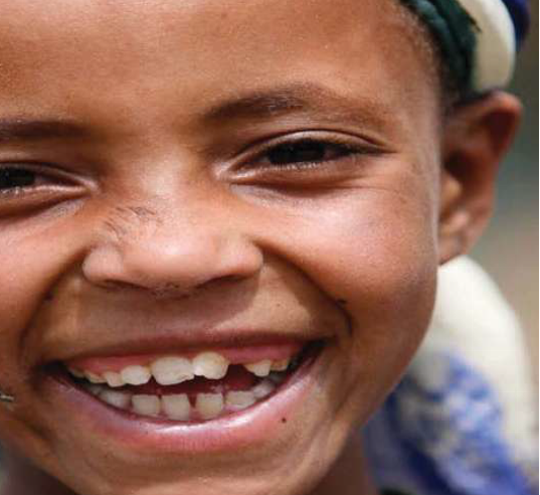 Children who have been orphaned or rendered vulnerable by AIDS are among the most impoverished children of the world- currently over 15,000,000. 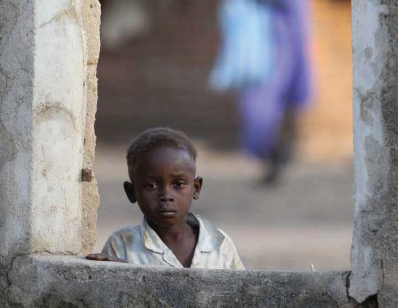 The orphan crisis, (including displaced children from wars, natural disasters and AIDS) creates a humanitarian and economic challenge that our global society must urgently address- There are more than 53.1 million orphans in Sub Sahara Africa alone. The fragile and vulnerable children left behind from these wars, natural disasters and famine, create an unfathomable poverty that renders addressing hunger as a top priority for our global humanitarian society; Over 60 million orphans go to bed hungry every night. The second Monday in November is observed each year to raise awareness of the plight of orphans and displaced children around the world. To commemorate and strengthen the ideals of humanitarian goodwill towards these children, global non–governmental organizations, humanitarian aid organizations, civic groups, and individuals are asked to observe World Orphans Day in their own diverse, effective way. 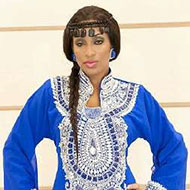 It is trademarked and is supported by national and international media. The global community promotes the day and raises funds for their own community organizations by creating events and fundraising challenges online and in the community. The money stays in their own communities for programs that support displaced children, orphans and youth at risk programs. College and University Rallies, Prayer Vigils, Motorcycle or Bicycle Rides, 5 km Walks, Concerts, are just a few of the many ideas that you can implement in your community. 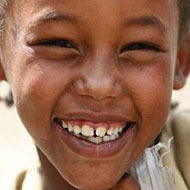 Major non-profit humanitarian aid organizations; Church groups; College campuses; Homes for Children in the USA; Sports Clubs and Soccer organizations; Youth organizations and High School Clubs; Women’s civic clubs ; Orphanages in various countries; Governmental offices in the USA and abroad; Governmental agencies, such as AMICAALL chapters (Alliances of Mayors in Africa); External Event organizers holding events in October and November; Television and radio stations; Faith based organizations in different cultures. We do not solicit funds from the grassroots campaign around the globe. We will market products including iTunes theme song each year and other products that will designate monies to the internal World Orphans Fund of The Stars Foundation™ to be distributed globally through major non-profit partners in numerous countries. If you are a grassroots organization, we wish for the monies to stay in the countries they are raised in for the local children’s charities. Our college and church program for Adopt a Village will send directly to our national headquarters for distribution to our Orphanage Support list. Please do not request grants, as we are an entertainment industry driven nonprofit campaign and trust our external nonprofit partners to make good stewardship decisions with the monies we direct to them. The Stars Foundation™, founded by Cheryl in early 1990’s, was committed to helping youth at risk and child abuse victims through strategic relationships with non-profit organizations. Once the AIDS pandemic left behind millions of orphans across the continents, Cheryl envisioned a platform day that would generate funds and awareness to help the most impoverished children and youth around the world. 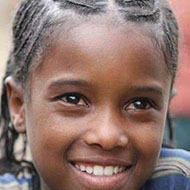 Thus, World Orphans Day™ was launched initially in 2006. Her Board and Ambassadors of Goodwill champion the cause for the orphans to encourage a generous corporate and philanthropic community to release funding for the nonprofit partners of The Stars Foundation™ for the children in need. Cheryl has facilitated the generation of over $113,000,000 goods in kind and cash donations to worthy causes, outside The Stars Foundation™. She is a respected professional in the cause related marketing industry with campaigns on electronic media formats including Home Shopping Network, Sports Marketing with INDY and NASCAR programming, international television production and broadcast media. Cheryl was appointed an Ambassador of Goodwill for the State of Tennessee by Governor Bill Haslam in 2016. 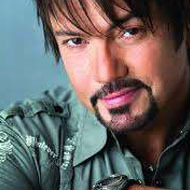 In 2005, the National Religious Broadcasters Association approached Troy Miller with a vision for a television network. His dynamic energy and vision, coupled with strong affiliate partners and production teams have created a powerhouse in modern faith and family programming. Every program that the NRB Network airs is independently produced. Their lineup is diverse ranging from preaching and teaching programs on Sunday to shows about nature, history, public policy, financial education, fitness, music, sports, and travel the rest of the week. The NRB Network is available to 45 million U.S. households. James is the Program Director for the Alliance of Mayors and Municipal Leaders Initiative for Community Action on AIDS at Local Level (AMICAALL) and heads up the Uganda Chapter. Our proclamation for World Orphans Day™ was read and filmed for inclusion in our Hearts on Fire Television project. 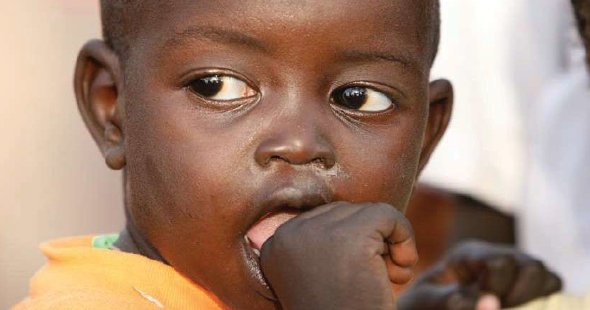 Over 450 mayors and urban leaders within Uganda proclaimed World Orphans Day to be November 9 for 2015. Titus is a board member of the Global Fund for AIDS and Malaria. A survivor of childhood sexual abuse with a long road to healing, CCAA CEO & Founder, Ellen Campbell, translated her own recovery into hope for others. During her tenure as Executive Director for Starlight Children’s Foundation, where she served for twelve years, she founded the Canadian Centre for Abuse Awareness (CCAA) and in 1993 held the first National Conference for Adult Survivors of Sexual Abuse. That was to be the first of what would be three national conferences for adult survivors and over the following decade CCAA also began designing programs for children. As CEO & Founder for the Canadian Centre for Abuse Awareness, the name Ellen Campbell has become synonymous with abuse prevention and recovery in Canada. In recognition of her work and the national influence achieved by CCAA, in December 2006, the Honourable Vic Toews, Minister of Justice and Attorney General of Canada appointed Ms. Campbell to The Minister’s Advisory Committee on Judicial Appointments for Ontario, a position that she continued to hold until 2010. 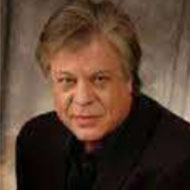 Ken Abraham is a New York Times best-selling author, known around the world for his collaborations with popular celebrities and fascinating, high-profile public figures such as former U.S. Attorney General John Ashcroft, Senator Bob Dole, Astronaut Buzz Aldrin, mega-church minister, Joel Osteen; actor Chuck Norris; 9/11 widow, Lisa Beamer; NFL football coach and NASCAR team owner, Joe Gibbs; psychologist, Neil Clark Warren, founder of e- Harmony.com; former U.S. Senate Majority Leader, Bill Frist; champion boxer and entrepreneur, George Foreman; and ASCAP’s Gospel songwriter of the century, Bill Gaither. 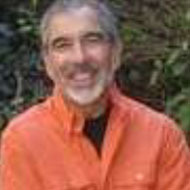 Fourteen books on which Ken has collaborated have appeared on the New York Times bestsellers lists, with three of Ken’s works reaching the number one position. At present, Ken has more than ten million books in print. Roger J. Piggott is the CEO of Iceman Television™. At present, Roger is better known as the largest independent producer of sanctioned Long Drive Golf television shows in the world, representing broadcast relations in 50 countries. With more than 550 episodes in his portfolio, Roger produces and coordinates prime time philanthropic and sports taped delayed television programming. Recently, Roger and his Iceman Television™ team were commissioned to produce Hearts on Fire™ and the America Rising™ television series. 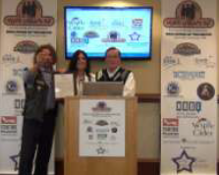 As a 35 year motorcycle enthusiast, he and wife Cheryl filmed and coordinated events along the Rolling Thunder Flame of Freedom™ across America which draws 1,000,000 participants annually to Washington, D.C., Memorial Day Weekend. Roger has a long distinguished career as a expert independent television producer and promotions consultant for numerous fortune 500 companies and tourism boards throughout the world. Senator Doe Sherriff advocates for the 6,000 Ebola Orphans in Liberia, working to support Orphans Concern Liberia and other networks of Orphan programs in the West African Communities. 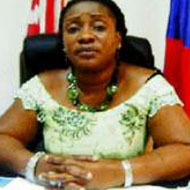 She has served as a Member of Parliament since 2009 and currently serves as the Chair Executive and is a member of; Agriculture, Forestry and Fisheries Committees, Lands Mines and Natural Resources Committees, Maritime Committee, Post and Telecommunications Committee, Public Accounts and Audits Committee, Public Corporations Committee and the Ways, Mean, Finance and Budget Committee. Recently appointed to the globally commemorated day, as Chairwoman of World Orphans Day™ - East Africa, Sonnie Gitonga brings event experience and passion for the cause of orphans and empowerment of girls in Kenya. She is taking this passion and driving a movement in East Africa to call on governmental authorities to proclaim the Second of November each year World Orphans Day™. She will advocate for a UN sanctioned World Orphans Day™ from her Scars to Stars organization's sponsored event in Nairobi, Kenya event this November. 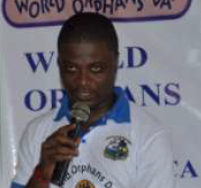 Amos is the Founder and Executive Director of Orphans Concern-Liberia™. Left orphaned during the Civil War of Liberia, he was placed in a Christian orphanage and that led to his passion to found his own mission organization comprised of former war orphans to serve orphans. 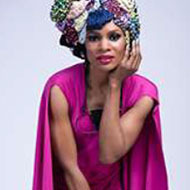 As a certificated and Commissioned Peace Ambassador by the Universal Peace Federation, and a Commissioned Peace Messenger of the United Nations Mission in Liberia (UNMIL), Amos has taken on the commission of serving as Chairman of World Orphans Day™ West Africa, for continual support to The Stars Foundation™. 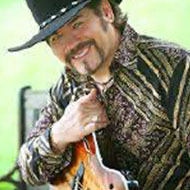 Buddy Jewell burst onto the country music scene in 2003 when he won the coveted title of USA Network’s first ever Nashville Star. A true crowd favorite from the premiere episode to the finale, TV audiences and critics alike fell in love with Buddy Jewell’s gentility, enthusiasm and true musical passion. Maule first joined the cast of General Hospital in 1984, cast as Dr. Tony Jones, the brother of Frisco Jones (played by Jack Wagner). Maule's character was initially to die after a year on the show and Maule was to be written off the show, however, due to a campaign of fan letters, the producers decided to keep Maule on the show. Maule remained on the show on contract from 1984–2000, earning two Daytime Emmy nominations in the process in 1995 and 1997. 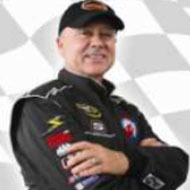 Geoff Bodine throughout his career, Geoff has driven for some of the best car owners in NASCAR, including Junior Johnson, Bud Moore and Rick Hendrick as well as owning his own cars. He has 565 starts, 37 poles, 18 wins, and nearly $16 million in winnings during his Winston Cup/Nextel Cup career. He was honored as one of NASCAR’s 50 greatest drivers during NASCAR’s 50th anniversary celebration. Geoff has always been a great innovator and brought many ideas to Winston Cup. He introduced power steering and full-faced helmets to Winston Cup. He is also credited in the Guinness Book of World Record’s with “Most wins in one season” with fifty-five race wins. Donnie Allison, is a former driver on the NASCAR Grand National/Winston Cup circuit, who won ten times during his racing career, which spanned the 1960s, 1970s and early 1980s. He was part of the "Alabama Gang," and is the brother of 1983 champion Bobby Allison and uncle of Davey Allison and Clifford Allison. He was inducted in the International Motorsports Hall of Fame in 2009. Donnie is a proud supporter of The Stars Foundation™. An entertainment industry 501(c)3 organization dedicated to raising funds and awareness to the plight of children orphaned or displaced by poverty, war, AIDS and natural disasters. 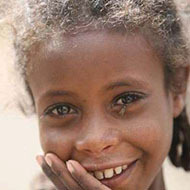 Funds are distributed to humanitarian aid non-profits and NGO's. 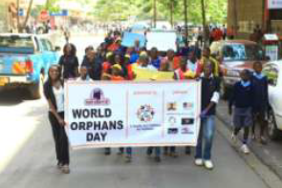 We are the initiating organization for World Orphans Day™. 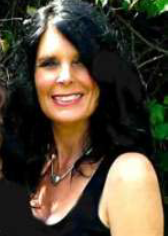 Cheryl Robeson Piggott is the CEO and Founder of The Stars Foundation™ and World Orphans Day™. Cheryl and her husband Roger are Rapid Response Team Pastors for the Billy Graham Evangelist Association. Who Has Supported Us in the Past? Send HOPE to organizations who receive funding through the local grassroots events. Send HOPE through International Broadcast generating donations to feed, shelter and protect the most vulnerable children of the world. 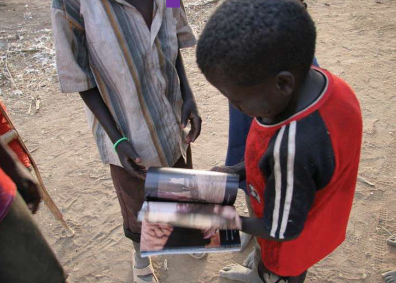 Send HOPE by empowering leading top rated humanitarian aid organizations. Send HOPE by empowering mayor’s programs for community based orphan support through AMICAALL chapters in Africa proclaiming the Second Monday in November each year as World Orphans Day™. How Will it Get Back to the Children? We encourage children, youth groups, schools, organizations, college sororities and fraternities to raise funds for their own favorite charities that support vulnerable, displaced children and foster or orphaned children. Additionally, throughout the year, The Stars Foundation™ campaigns including product marketing, television projects, and music related products which are developed for the purpose of donating a portion of proceeds to a newly created fund called the World Orphans Fund of The Stars Foundation™. This Fund targets supporting in-house projects such as Victory Mountain, and strategic partner’s programs and orphanages worldwide. We do not take grant proposals from individual orphanages. 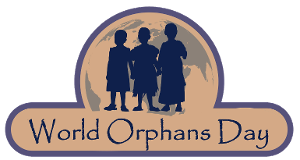 We give through established charitable organizations which we have a working relationship, and are helping promote World Orphans Day™. The NRB NETWORK is available to 45 million households on DIRECTTV channel 378 and select local affiliates. The lineup of programming is diverse, ranging from preaching and teaching programs on Sunday to shows about nature, history, public policy, financial education, fitness, music, sports and travel the rest of the week. Savannah Entertainment™ is the international marketing arm and entertainment component for The Stars Foundation™ and World Orphans Day™. The company is an example of the new and successful “social entrepreneurship” trend, in which for-profit companies partner with non-profit organizations to harness the power of the marketplace in order to accomplish charitable goals. Savannah Entertainment™ is engaged in promotions, celebrity-marketing, music, concert production, theme songs associated with World Orphans Day™, cause related music videos, along with philanthropic event coordination with international partners. 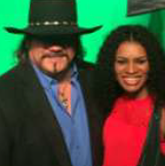 Savannah Entertainment™ has placed celebrities and their products on Home Shopping Network and given charitable rebates back to worthy causes from the sales, and will be expanding celebrity marketing to mass retailers as part of the cause related marketing mandates of the company. Iceman Television™ was formed in 1982 as a promotion and production company servicing National & International events and producing the corresponding television programs in association with a blue chip client base. The firm is known for television production, sponsor procurement, marketing and internationally syndicated tape delayed television programming and broadcast. Its flagship programming entities include; For God and Country and the Hearts on Fire™ and the International Long Drive Golf Championships™ television series. With over 550 television episodes currently in worldwide circulation, Iceman Television™ is a leader in independently produced television programming made for a worldwide audience. The global mobile, cable and satellite television market is driven by a growing consumer demand for celebrity enhanced regularly scheduled prime time television programming. 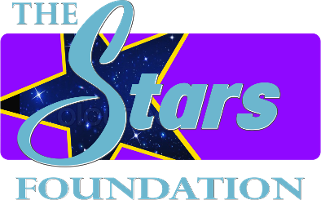 The Stars Foundation™ is increasing broadcast awareness and market penetration on cable television, satellite, mobile phone devices and web based platforms, as a means to showcase our philanthropic and ministerial programming on a national and global basis. 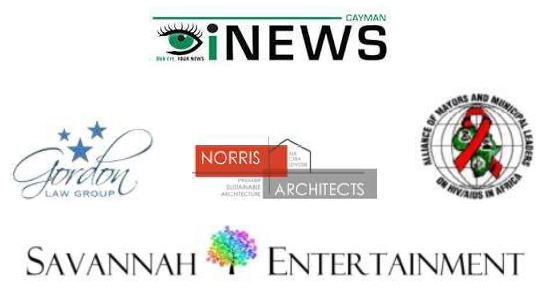 Under the umbrella of Savannah Entertainment™ and Iceman Television™, we pride ourselves with a proven international track record offering concept to completion, project based production and syndicated broadcast services. We excel with on location and a full service in-house production and post-production studio, specializing in distribution of the “Ready-to-Air” television programming we produce. Worldwide, the market for independently produced television programming has experienced substantial growth and development. The markets are primed for providing our partners, donors, events and our profiled celebrities a strong media platform for exposure to convey our cause related messages. The popularity of the celebrity related "magazine style" programming has proven to enhance viewership and consumer awareness on a global basis. Scheduled for broadcast the fall of 2018, includes two inspirational television series which are currently in production that will be showcased to 45 million American households in broadcast partnership with the National Religious Broadcast Television Network™ (NRBTV). The Hearts on Fire™ is a 13 episode series television series designed to ignite and inspire Christians to walk in their calling with passion. The series is infused with celebrities and high profiled public figures and dignitaries from all walks of life, who have passionately embraced their gifts from God to give Him Glory in a public platform. Profiled public figures talk about their faith journeys to inspire the young and older generations to reach within themselves to live their lives abundantly for Kingdom purposes. FOR GOD and COUNTRY features The Stars Foundation’s™ celebrity supporters at the country’s premier patriotic events and American cultural landmarks. The series addresses our American Heritage while inspiring a nation with National Pride and the message that Jesus Christ can bring hope to a hurting nation. 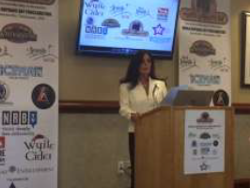 Celebrity supporters, Nashville artists and dignitaries convey the “Message of Hope”. 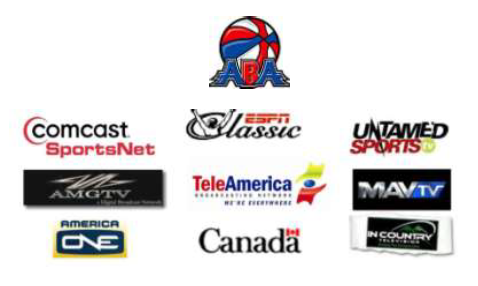 Iceman Television™ is the production and the medium arm of The Stars Foundation™ and is a fully mobile broadcast, production service providing network partners around the world with regularly scheduled television programming. Experienced ground and logistic teams, along with an international production crew, allows for an efficient filming process, with a proven broadcast track record in capturing the celebrity and profiled events being covered. All episodes are produced and packaged in accordance with the international broadcast guidelines. Our state-of-the-art studio facilities located in Tennessee, USA create programming, designed to appeal to the secular and non-secular armchair viewers. Viewer impact is enhanced by the on-air participation by The Stars Foundation™ celebrity supporters, while generating strong public awareness and impact for our charitable partners and causes. With twenty-five years of experience and a proven international track record, Iceman Television™ currently supplies regularly scheduled television programming to more than 50 countries worldwide, and currently has distribution of more than 550 episodes in circulation. Cheryl Robeson Piggott brings twenty-two years of experience in celebrity marketing, promotions, international relationships and philanthropic event coordination, to her role as Chairman and President of The Stars Foundation™ and World Orphans Day™. (Washington, D.C. at the Capitol). Under Cheryl’s direction, numerous national and international media driven campaigns and philanthropic causes have reached a consumer audience topping 250 million armchair viewers.